Terms of business for the supply of home help to private householders. 2.1. These Terms and Conditions form the contract between the Client and Nannies 4 Grannies for provision of a Nanny’s services to the Client. 2.2. Nannies 4 Grannies agrees to provide the services of a Nanny during the period of an assignment. Nannies 4 Grannies cannot guarantee that a particular Nanny will be able to remain with the Client throughout the entire assignment but will use all reasonable efforts to ensure continuity. Where possible, the Client will be consulted in advance in relation to any change in the Nanny provided. 2.3. No variation or alteration of these Terms and Conditions shall be valid unless the details of such variation are signed by a Director of Nannies 4 Grannies and the Client and are set out in writing and a copy of the varied terms is given to the Client stating the date on or after which such varied terms shall apply. 3.1. At the end of each week of the assignment or if the assignment is for less than one week on the day that the assignment ends, the Nanny will give the Client a timesheet. The Client should check that the timesheet shows the correct number of hours worked for the period concerned and, if relevant, the number of miles travelled by the Nanny during the assignment (for the avoidance of doubt this does not include any mileage to and from the Nanny’s home). If it is correct, the Client should sign it and return it to the Nanny so that it can be promptly forwarded to Nannies 4 Grannies. This is important because the Nanny must submit a signed timesheet to Nannies 4 Grannies in order to be paid. If the Client is unable to sign the timesheet produced because the Client disputes the hours or miles claimed, the Client should inform Nannies 4 Grannies as soon as reasonably practicable and shall cooperate fully in order to establish the actual hours worked or miles driven by the Nanny. 3.2. The Client’s signature on the timesheet will mean that s/he is satisfied with the Nanny’s services and that the Nanny provided those services for the hours shown on the timesheet. However, if the Client fails to sign the timesheet for any reason Nannies 4 Grannies still reserves the right to charge the Client for all hours worked satisfactorily. 3.3. These Terms and Conditions are deemed to be accepted by the Client when s/he signs the timesheet. 4.1. The Client agrees to pay Nannies 4 Grannies for the provision of the Nanny’s services such hourly charges of Nannies 4 Grannies as shall be notified to and agreed with the Client. The hourly charges are calculated according to the number of hours worked by the Nanny (to the nearest quarter hour) and comprise mainly the Nanny’s pay and any sums due in respect of holiday pay or any other statutory entitlement of the Nanny but also includes employers’ National Insurance contributions. 4.2. Subject to clause 2.3 above, Nannies 4 Grannies reserves the right to vary the rate from time to time during the assignment. 4.3. The charges are invoiced to the Client on a weekly basis and are payable within 28 days. Travelling and other expenses as may be agreed shall be added to or deducted from the invoice as appropriate. 4.4. If payment in full is not made within 28 days of the date of an account, Nannies 4 Grannies shall be entitled to charge interest on the outstanding amount at the rate of 3% of the balance due for each month outstanding. 4.5. 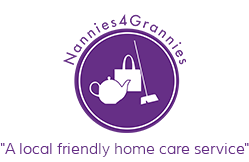 Any queries regarding Nannies 4 Grannies charges as per invoice must be notified to Nannies 4 Grannies within 7 days of receipt of the invoices. If no queries are raised in this period the Client is deemed to be fully satisfied with Nannies 4 Grannies charges and is liable to pay the invoice in full within 28 days. Queries raised against invoices will not preclude Nannies 4 Grannies from seeking to recover the full invoice value from the Client subject to any changes caused by the query. 5.1. All Nannies are employed by Nannies 4 Grannies and the fee paid to Nannies 4 Grannies covers the Nanny’s salary and all national insurance contributions. 6.1. When making an introduction of a Nanny to the Client, Nannies 4 Grannies shall inform the Client of the identity of the Nanny, that the Nanny has the necessary or required experience and training, whether the Nanny shall be employed by Nannies 4 Grannies under a contract of service or a contract for services and that the Nanny is willing to work on the assignment. 6.2. Where such information is not given in paper form or by electronic means it shall be confirmed by such means by the end of the third business day (excluding Saturday, Sunday and any public or Bank holiday following), save where the Nanny is being introduced for an assignment in the same position as one in which the Nanny had previously been supplied within the previous five business days and such information has already been given to the Client, unless the Client requests that the information is resubmitted. 7.1. Nannies 4 Grannies strongly advises that, before the assignment begins, the Client ensures that s/he holds household insurance, which includes public liability cover. The reason for this is that the Client will be liable for injury and /or loss to the Nanny and/or Nannies 4 Grannies arising under the Occupiers Liability Act 1957 (as amended). 8.1.2. may, at its discretion, reduce or cancel the charges for that day’s work performed where the unsatisfactory circumstances are beyond the reasonable control of Nannies 4 Grannies, provided that in both cases the Client informs Nannies 4 Grannies within 4 hours of the start of an assignment or the unsatisfactory circumstances, whichever is the later. Nannies 4 Grannies will endeavor to provide the Client with a suitable replacement within 4 hours of receiving notification of his/her rejection of the Nanny. 8.2. Subject to clause 8.1 above, if the Client wishes to terminate the assignment for any reason s/he must give Nannies 4 Grannies 1 week’s notice in writing failing which s/he will be subject to a cancellation fee equal to one times the average weekly charge rate of Nannies 4 Grannies for the Nanny’s services. 8.3. Nannies 4 Grannies may terminate the assignment by giving the Client 1 week’s notice in writing. 9.1. Where the Client is the person for whom the Assignment is being performed, the Nanny is precluded from assisting the Client in relation to making a will or from witnessing or benefitting under the terms of any will or codicil made by the Client or from becoming involved in any other legal documentation. 9.2. The Client will cooperate with Nannies 4 Grannies in relation to any assessment of the risks at the premises where the Assignment is to be carried out and will provide all relevant information upon request to Nannies 4 Grannies. 9.3. The Nanny will be subject to Nannies 4 Grannies policies regarding administering and/or assisting with medication. The policy will also define the limits of the Nanny’s assistance and the tasks, which may not be undertaken without specialist training. The Nanny is also subject to Nannies 4 Grannies policy regarding the safe handling of Clients money and property. The Client shall not request the Nanny to act in any way, which is a breach of the said policies. 9.4. The Nanny will seek the Client’s informed consent in relation to all aspects of services provided. during the course of the Assignment and the Client’s details, except where such information needs to be relayed to health care agencies or professionals. The Client hereby consents to information about the Client (or the person for whom the Assignment is being performed if different) being processed and stored in accordance with the Data Protection Act. 10.1. Where the Client has any cause for concern or wishes to make any complaint about the services provided during the assignment, the Client shall submit such complaints to Nannies 4 Grannies and such complaint shall be dealt with in accordance with Nannies 4 Grannies complaints procedure. 10.2. Where the Client wishes to relay any compliment about any Nanny to Nannies 4 Grannies such comments are welcomed and details are given in the Complaints and Compliments Procedure, a copy of which will be supplied to the Client and to anyone who requests a copy on behalf of the Client. 12.1. If this contract is signed by someone other that the person requiring the services of the Nanny, the signatory warrants that s/he has the power and the authority to sign this agreement on behalf of the person requiring the services of the Nanny. 13.1. These Terms are governed by the law of England and Wales and are subject to the exclusive jurisdiction of the Courts of England and Wales.